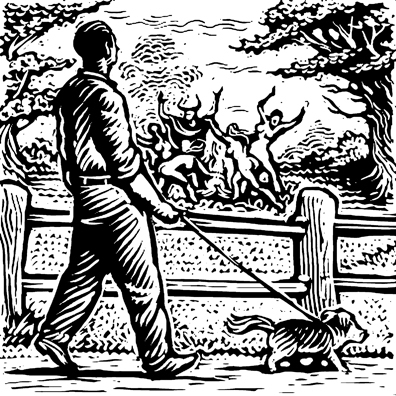 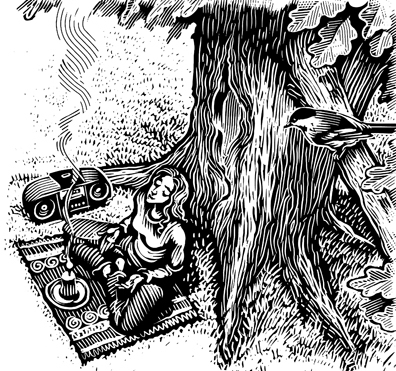 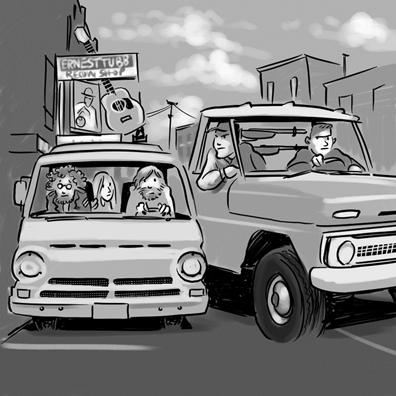 More illustrations for the next ‘Witches Companion’ book, and, at the bottom, another cartoon illustration for the ‘Freaks of Nurture’ blog, about a road trip to Nashville in the early seventies. 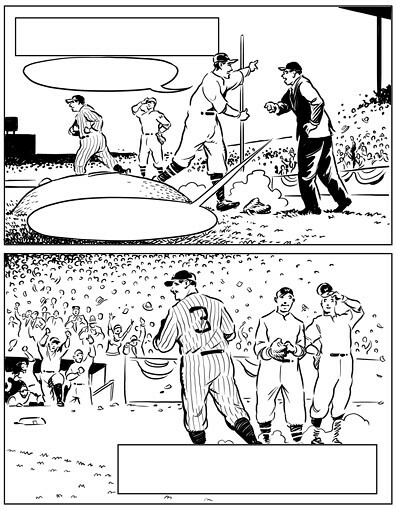 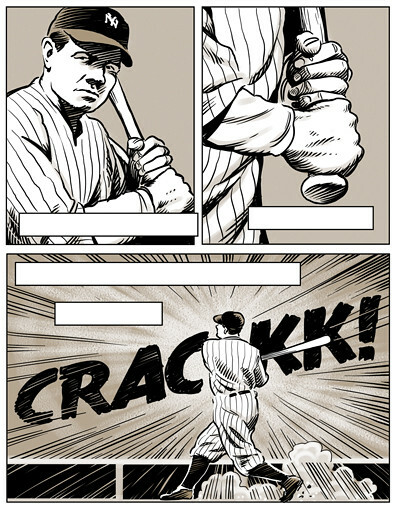 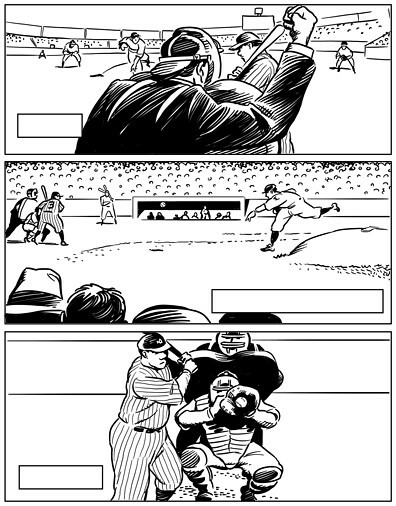 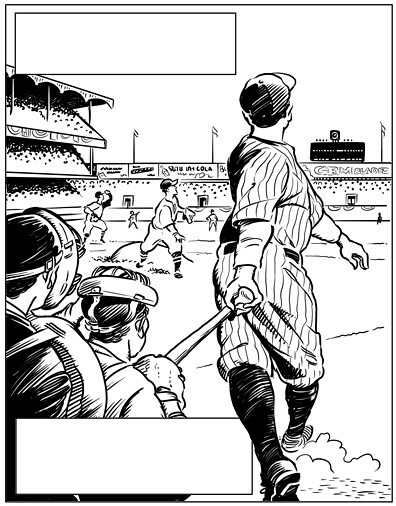 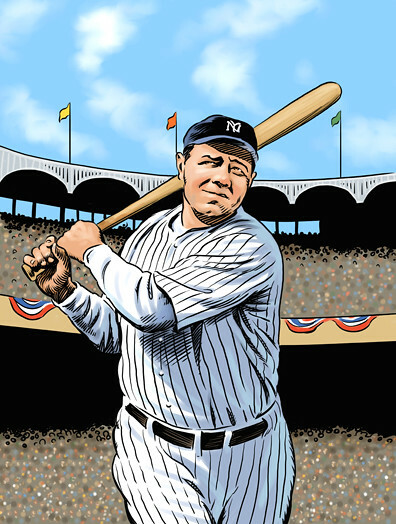 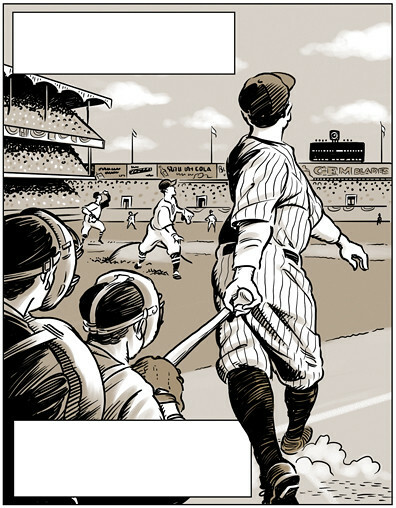 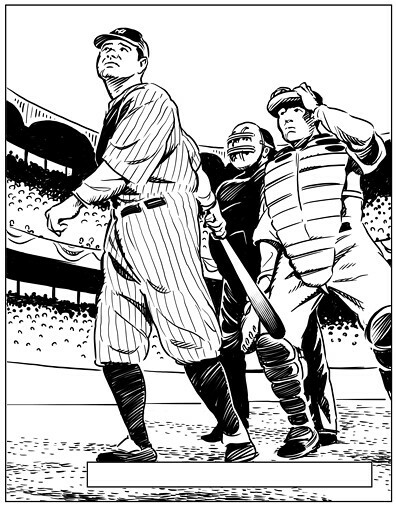 I also forgot to mention that a few weeks ago I received my complimentary copies of the Babe Ruth comic book that I had worked on last summer. 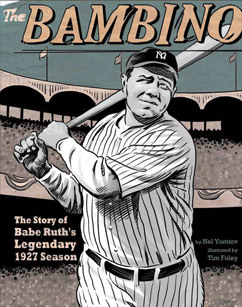 It turned out pretty nice, a little different than I expected (my color cover got changed to greyscale, and I notice that they used the ‘test sketch portrait’ of Ruth on the copyright page), and you can purchase it here. 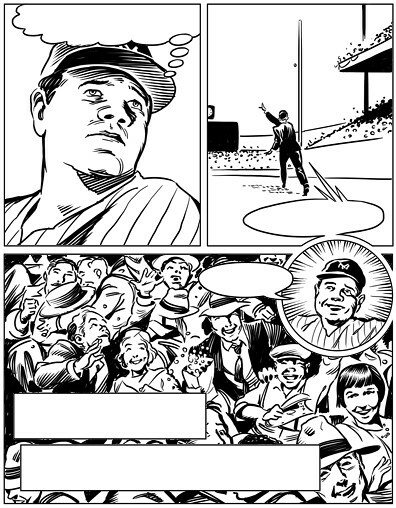 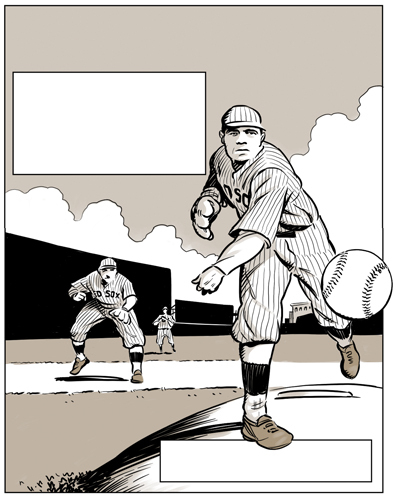 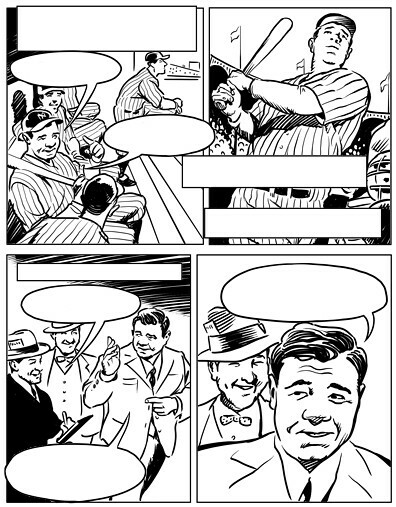 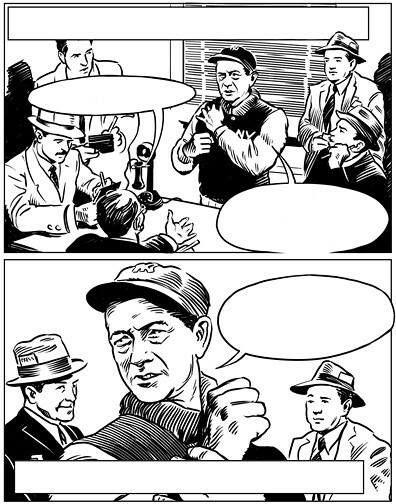 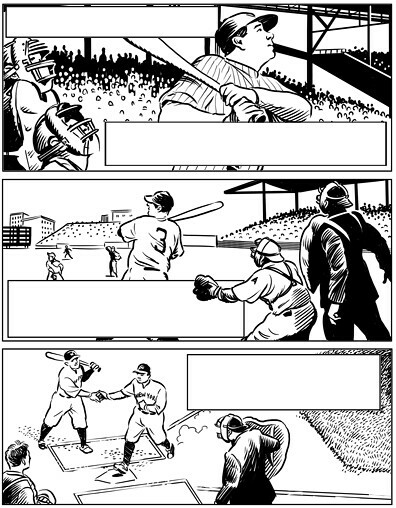 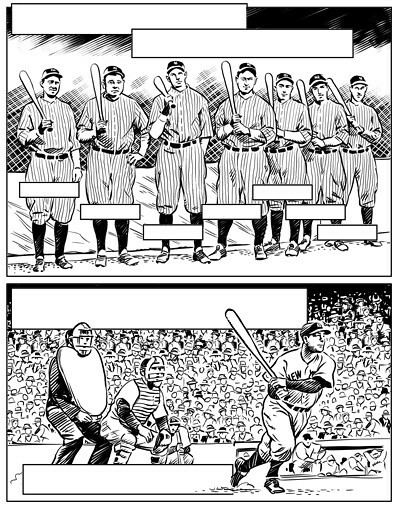 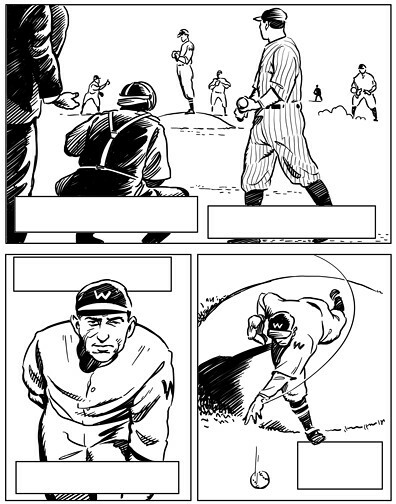 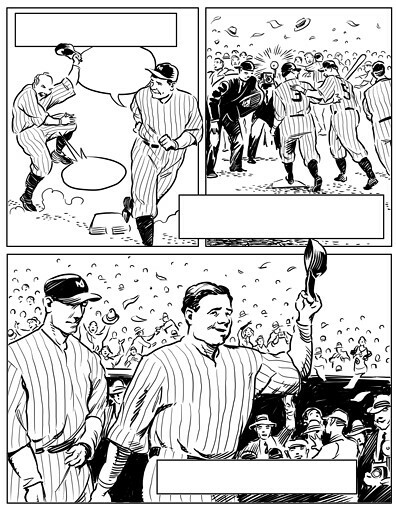 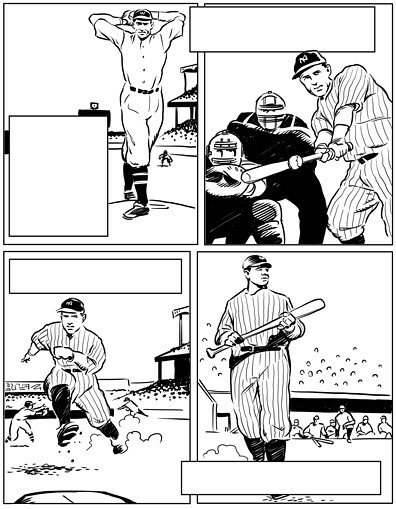 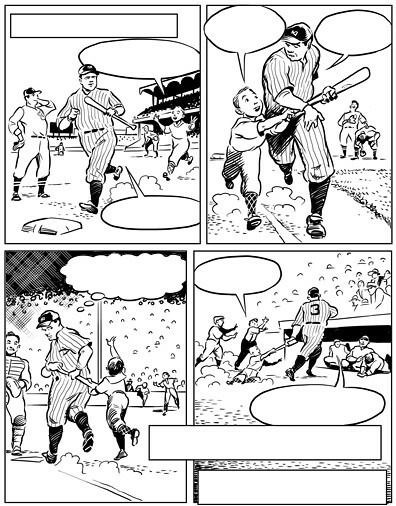 Finished up the cover for the Babe Ruth project on Monday (pictured above), the only piece in the group that needs to be full color. 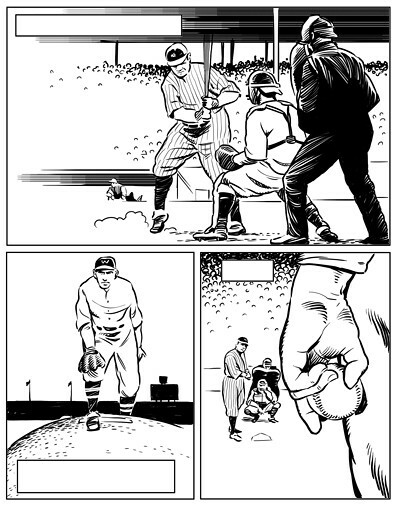 I’ll be posting some ‘2 color’ versions of the inside pages sometime in the next few weeks once I get the okay back from the publisher to go ahead on the next stage of the project. 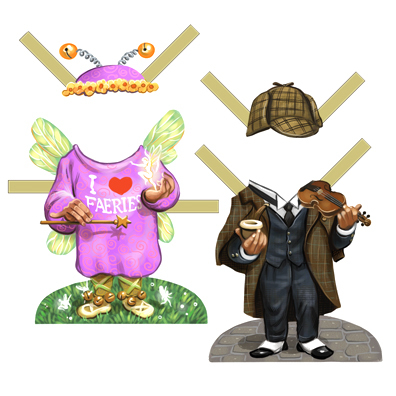 Meanwhile, I’m still going full steam ahead on the ‘paper dolls’ (more of these to post in a couple days), and filling in the cracks with the occasional quick turnaround project. 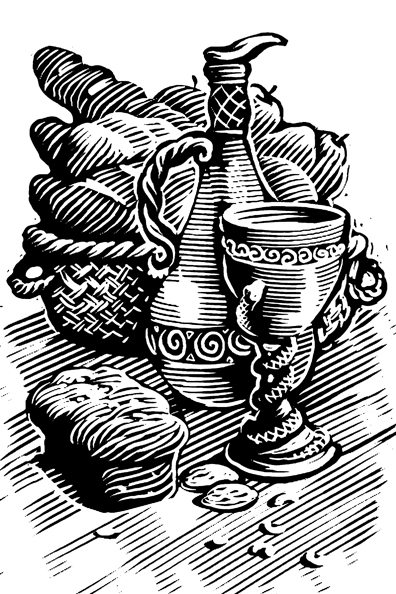 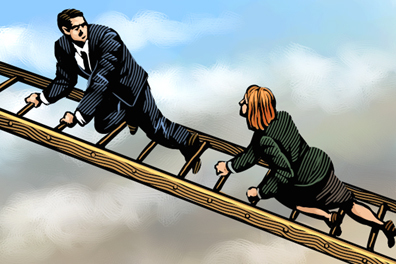 The illustration above was one for Newsday that I did last Friday, and below is an illustration for the Chronicle that I finished up this afternoon. 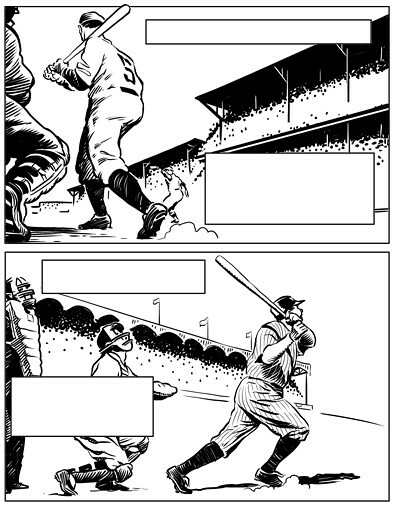 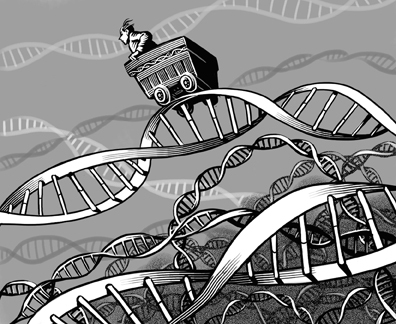 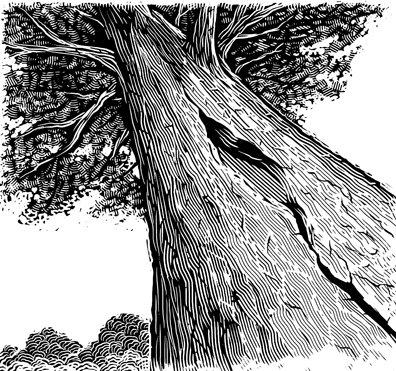 I’ve just completed the 2nd stage of a comic book project that I’ve been working on this month. 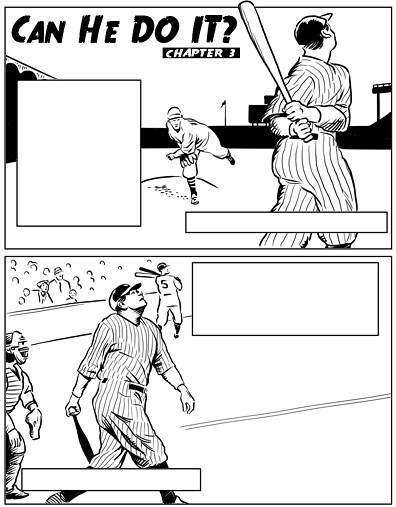 The first stage was the ‘rough sketch/storyboards’, and this second stage was supposed to be ‘tight pencils’, but I opted instead to move to ‘inks’ to save time. 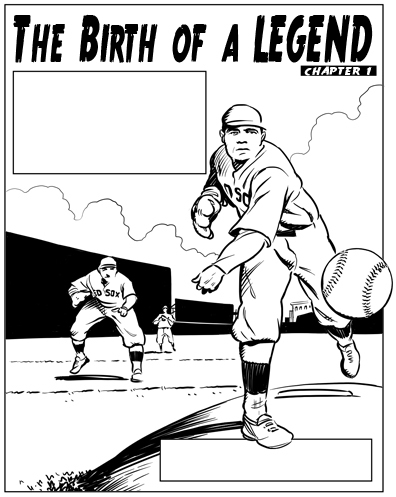 The next step will be both a full color cover illustration/design and then once these have been given the ok, I’ll be adding a 2nd color wash to these. The deadline for this whole project is mid July, at which point I may post a few samples with the ‘2nd color’ added. 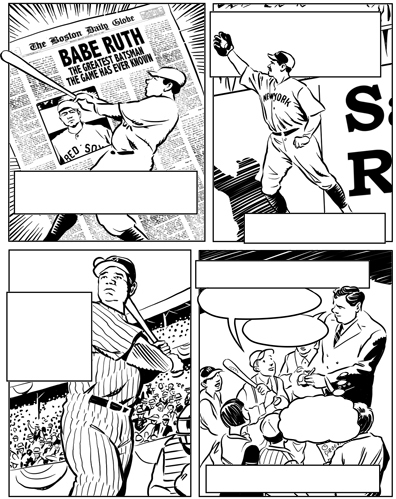 In the process of working on a pair of rather large jobs this month and probably won’t have many samples to post for a while until the projects are done, but in the meantime here are a few sneak peeks at the work in progress. 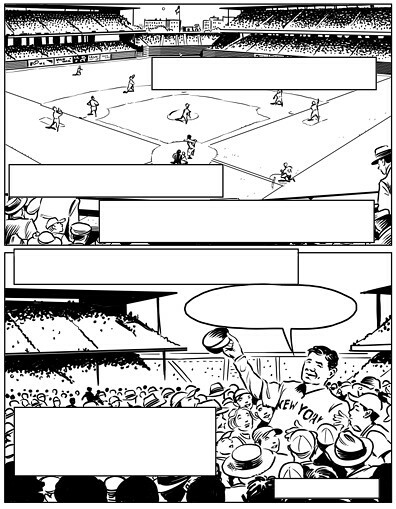 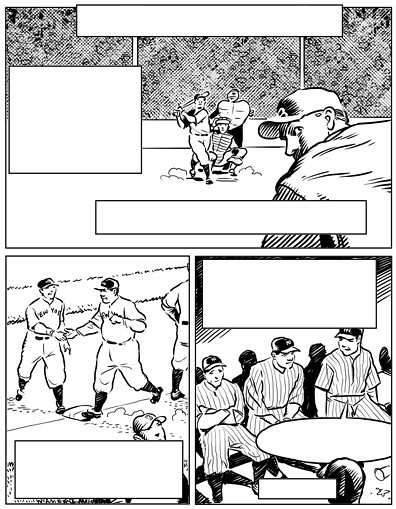 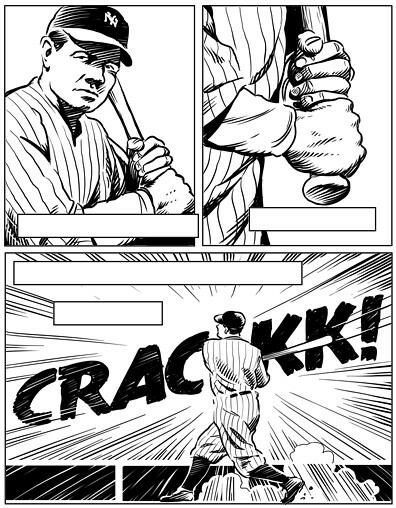 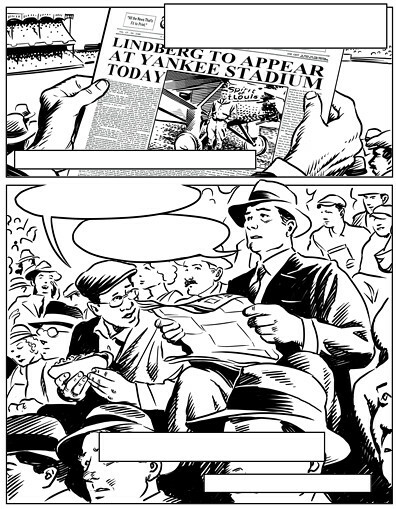 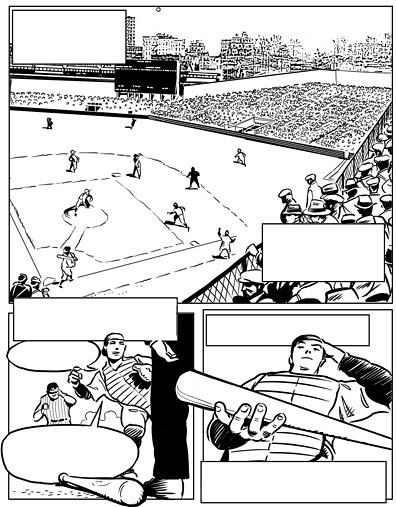 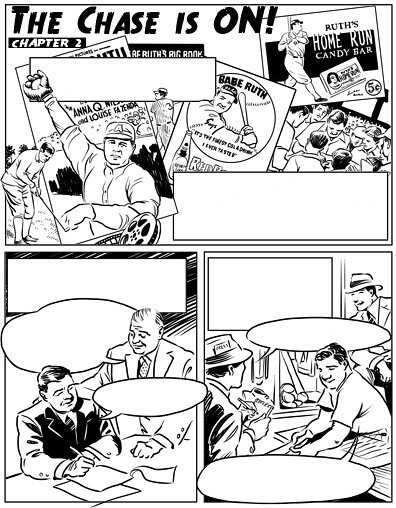 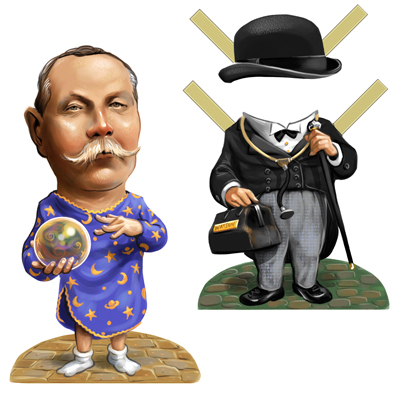 One is a 12 page baseball ‘comic book’ for a new client, and the other is a tongue in cheek ‘paper doll’ project.